Mornings are important. If you want to go through the entire day and get things done, you need to start your morning with the right pace. I believe there are days when you wake up late and everything just doesn’t seem to be “right”. You skip breakfast, get stuck in traffic, arrive late, and your boss looks at you in a stern way. You are hungry because you did not have breakfast, and there are piles of work waiting for you. It’s not difficult to imagine going through a hectic day just because you wrecked your morning. Zig Ziglar once said, “You don’t have to be great to start, but you have to start to be great” – and he is absolutely right. When you take care of your morning and set off for a great start, the rest of your day will take care of itself. When you learn how to take control, you will have better days. Here are a few suggestions on what you can do to jumpstart a great and productive morning. 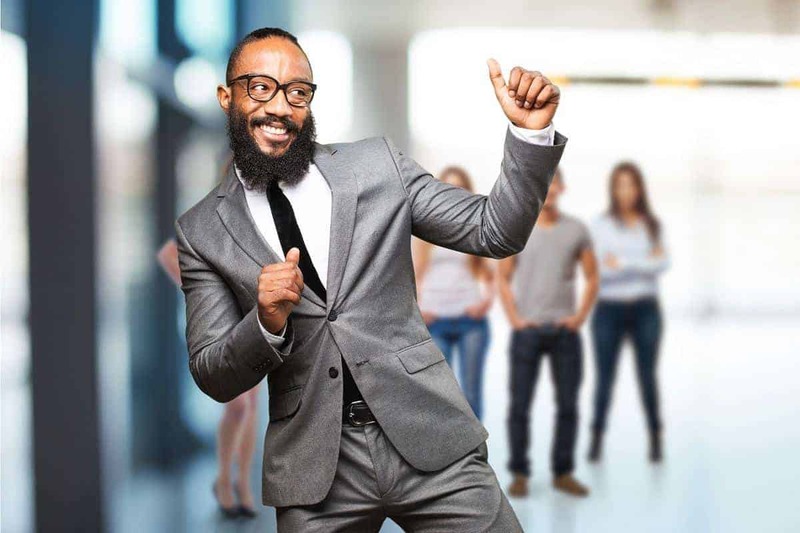 The best-selling book, “What Do The Most Successful People Do Before Breakfast” by Laura Vanderkam, states that one of the key activities most successful people do in the morning is exercise. 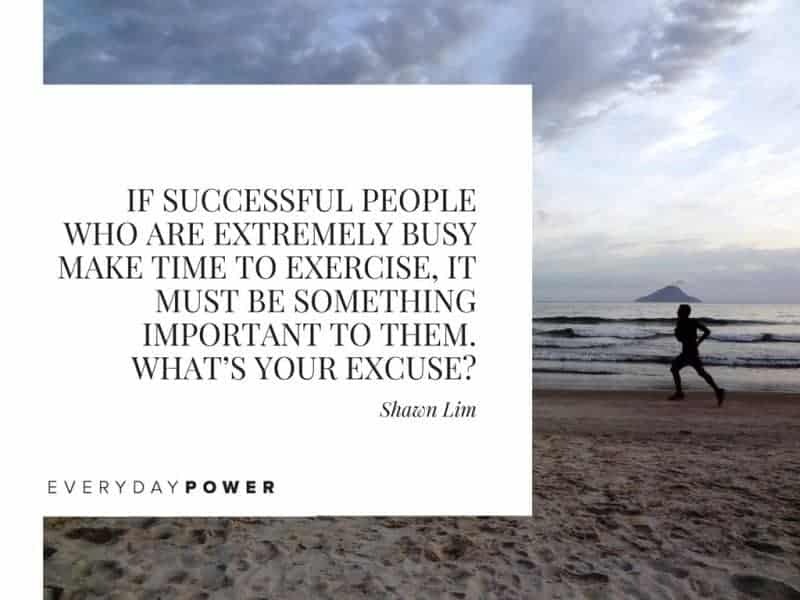 In her book, she says that if successful people who are extremely busy make time to exercise, it must be something important to them. Hence, what’s YOUR excuse? Many studies and research have proven that exercise is not only good for your health, but it also improves mood and boosts energy levels. When you move your body and sweat, you stretch your muscles, increase your heart rate, and oxygen intake. As a result, you will feel more energetic. When you exercise, your brain produces hormones called endorphins. They interrupt the receptors in your brain that reduce perception of pain. They also trigger positive feelings in your body, making you feel happy and less stressful. Make it a habit to exercise in the morning before you kick-start your day. You will have more energy and better focus afterwards. It’s true that most people are busy, especially those who live in big cities. However, this does not mean that you can skip your breakfast. Do you know the word “breakfast” actually means “break-the-fasting”? Think about it: you have a good night’s sleep for seven or eight hours straight without taking any food. After you wake up, if you do not feed your body and continue to fast throughout the day, guess what will happen? You can feel tired, find it difficult to focus, and have the inability to accomplish work because you’re hungry. So start your day strong by nourishing your body with nutrients. Breakfast primes your metabolism rate and defines the pace of your entire day. 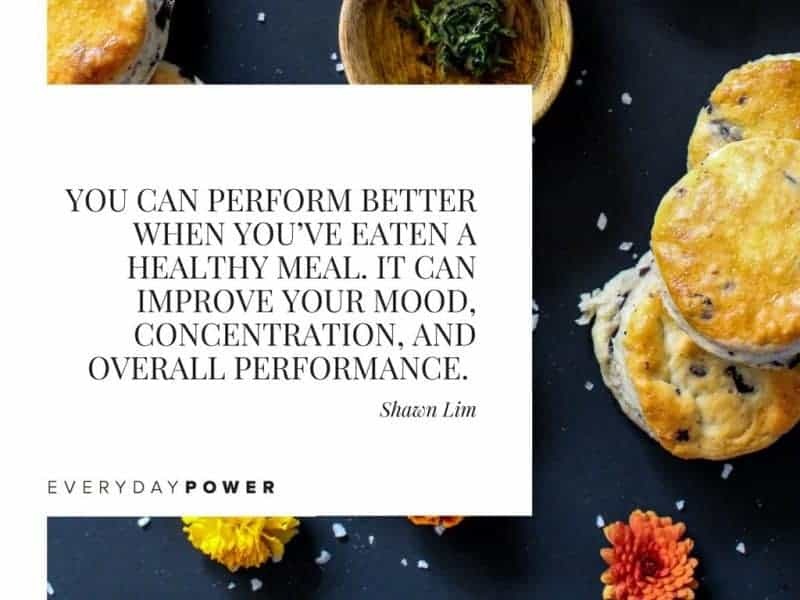 You can perform better when you’ve eaten a healthy meal. It can improve your mood, concentration, and your overall performance throughout the day. Fruits, whole grains, and slow-release carbohydrates such as oatmeal, are great options. Richard Branson, founder of Virgin Group, says that he has fruit salad and muesli for breakfast. Everyone wants to make the most of their mornings so it’s tempting to skip breakfast. But getting a nutritious and balanced meal is important to fuel your body and give you the right energy. If you want to take control of your morning and live a better life, you must learn to plan. It is true that things may not always go your way, but having a plan is better than having no plan at all. Clarity is power. When you know exactly what you need to do, you can jump into the task straight away without wasting time. Highly successful people understand that without a plan, they will simply react to whatever comes to them or requires their attention. Arianna Huffington, founder of Huffington Post, says that she uses her early mornings to set priorities for the day so she can handle things in a timely manner. 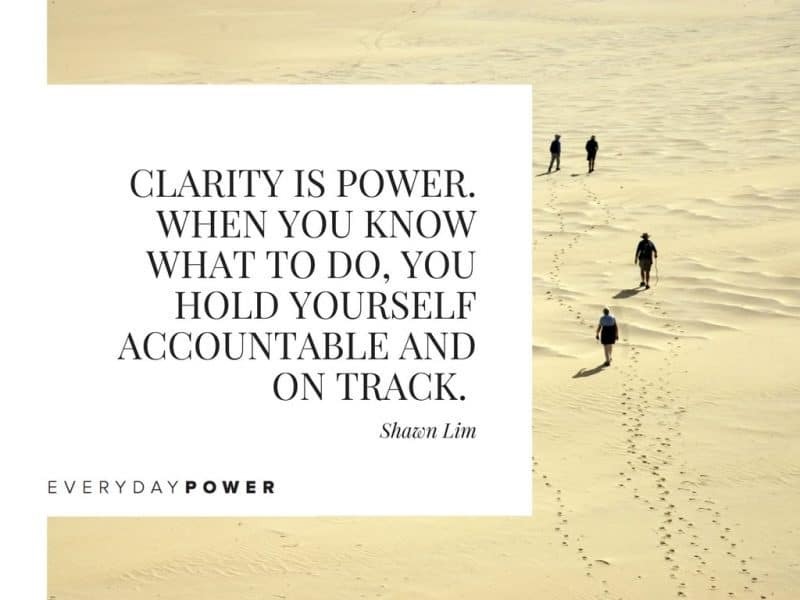 When you know what to do, you hold yourself accountable and on track. You understand priorities and know the most important thing that needs to get done. This helps a lot in making your entire day productive. For most people, mornings are moments when they have the highest willpower. That’s why this is the best time to tackle your most important work of the day. Mark Twain once said, “If it’s your job to eat a frog, it’s best to do it first thing in the morning. And if it’s your job to eat two frogs, it’s best to eat the biggest one first.” The frog here refers to your task. You have to get the most important task done first thing in the morning. After you’ve done that, the rest of your day will be easy. This “Eat Your Frog” productivity technique is also mentioned by Brian Tracy in the book of the same title. Tracy writes in his book that there is no way you can eat all the tadpoles and frogs in the pond – but you can eat the biggest and ugliest one, and that will be enough (at least for the time being). 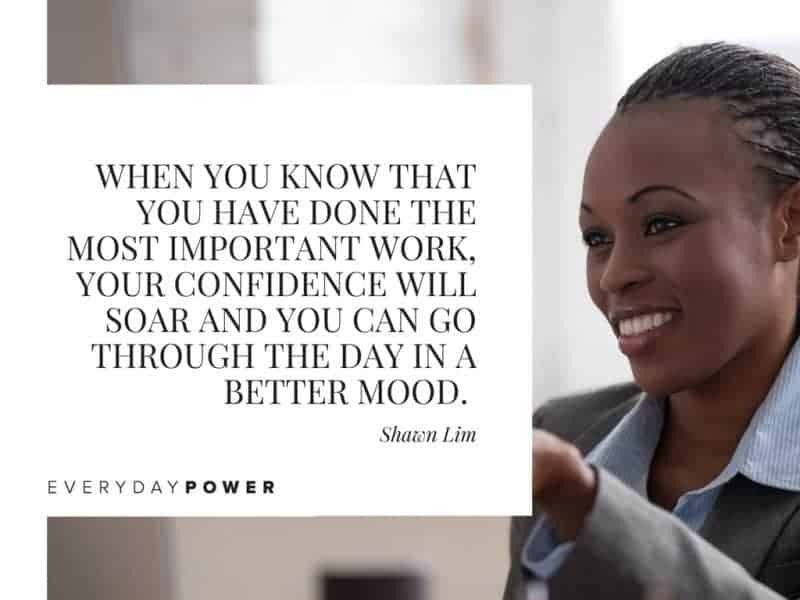 When you know that you have done the most important work, your confidence will soar and you can go through the day in a better mood. After all, you have done the essential tasks and have gotten the most out of your day. One of the best ways to take control of your morning is to wake up really early. Highly successful people understand that time is an invaluable asset. Hence, they choose to wake up extremely early. Mornings are the most productive hours because there are hardly any distractions – and no one will disturb you at such an hour. Oprah Winfrey says that she wakes up by 6 AM. Dwayne “The Rock” Johnson is up and in the gym by 4 AM. Starbucks CEO Howard Schultz wakes up at 4.30 AM. Apple CEO, Tim Cook, says that he usually wakes up around 3.45 AM to go through email, exercise, and enjoy a cup of coffee. The thing is that when you get up early, you will have more time to prepare yourself for the day. 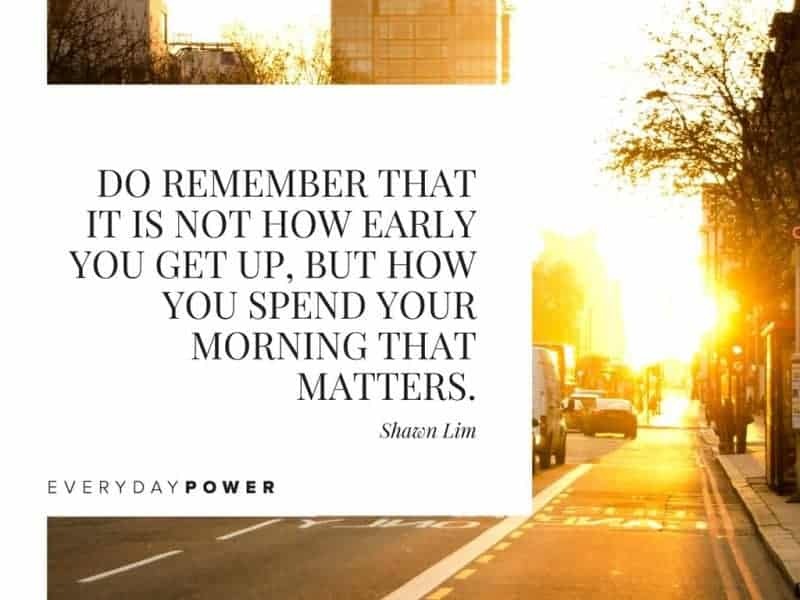 Do remember that it is NOT how early you get up, but how you spend your morning that matters. So make the most out of the early hours. When you start your morning in an awesome way, the rest of the day will follow.